Thank you and your workers for the wonderful job they did on our roof! "We bought our house knowing we would have to re-roof in the near future. Our old roof was 30+ years old and crumbling apart with the rain and the winds. Our old roof “problem” was a big factor in deciding whether or not we would finalize the purchase of our home. Whether buying, selling, or for everyday living, your roof is your home’s best investment. We are so happy with our new roof, which will probably outlast our home! Our interlock aluminum slate finish roof was done in 3 days and adds to our home’s curb appeal. The crew that worked on our home was professional, efficient, and proficient in the work that they did. We no longer worry about the wind or rain damage that our home is susceptible to. We can now rest assured that our home is protected from the elements in the many years to come." Thank you again, we love our new roof! 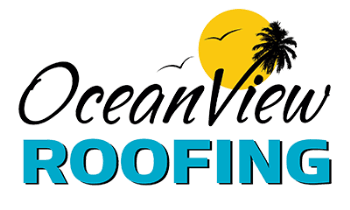 "Pete helped me with my shake re-roofing on my house and did a wonderful job. Clean, fast, and on-time. I would highly recommend him for my next project." 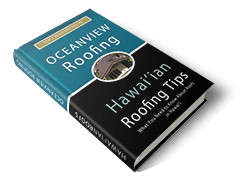 "Oceanview Roofing is the very best Roofing business that Oahu has to offer." "Pete has helped me several times with reroofing and patching of leaks, and I am very happy with the work. I would definitely call him again!" "Letter found on front door for crew: Good Morning and good luck. It is a bit nerve wracking having someone come to rip the roof off the house — good to feel we have the best man for the job! I’ll be home at 3:00, see you then with the balance of the payment." "To whom this may concern: I wanted to get this letter out to you, Peter, to tell you that I appreciate your excellent work on the roofs. Not only did you give a fair competitive qoute but you were able to get the work done in a efficient timely manner." "Pete, Here’s the roof pictures. I’m real happy with job. If you need a reference, you can call me."